Home » DVD/BD Movies » Comedy » dvdr_Good Boy! Get your paws on this "irresistible" (The Philadelphia Inquirer) family adventure starring Molly Shannon, Liam Aiken and Kevin Nealon! 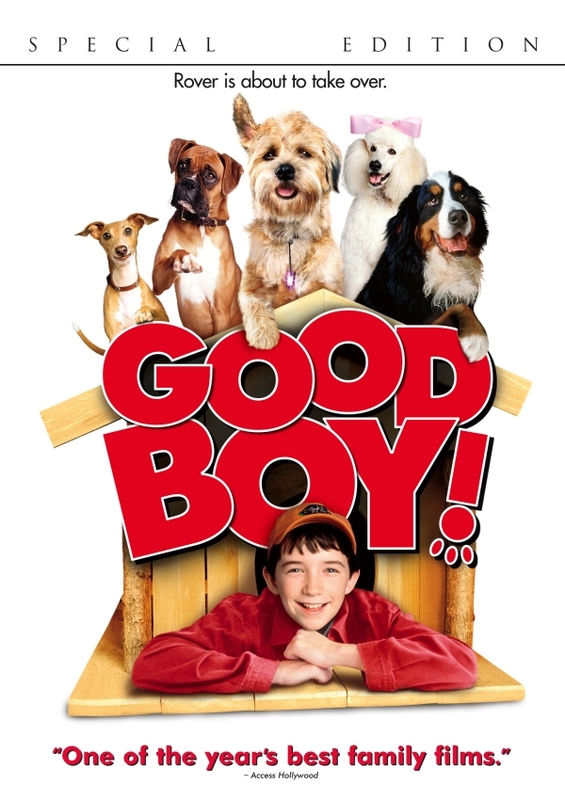 Featuring a hilarious four-legged cast - with voices by Matthew Broderick, Delta Burke, Donald Faison, Cheech Marin, Brittany Murphy, Vanessa Redgrave and Carl Reiner - this heartwarming tale is a "furry romp that both kids and parents can laugh at together." (The Seattle Times)! Twelve-year-old Owen (Aiken) has a new dog, Hubble (Broderick), who can not only sit, stay and roll over... he can also speak - literally! Turns out Hubble is an interplanetary agent from the dog star Sirius. Now Owen is about to discover that Hubble and all his canine buddies are on a mission to rule the world! "A Dog-umentary: The Making of Good Boy!"